As I sit sifting through various coloured shiny paper; business cards, leaflets, brochures, I realise how much effort and money businesses still spend in the ‘real’ versus the online world. Anyway, while we were there we mooched around as you normally do at business shows. It was very spacious and the layout was great, so I think we managed to see most stands. Then I started to think about how some businesses at trade shows and expos seem to make some really similar mistakes from a visitor perspective. As @ignitioncoachin mentioned after the Coventry and Warwickshire Chamber of Commerce Expo, there were plenty of people sitting down behind desks at their stands. I KNOW it’s hard work on the feet, especially for ladies in heels. I realise you need a break sometimes, and that’s fine – but go elsewhere and rest. If you sit down on your own at your stand, especially if you’re checking your phone, you look bored and disinterested. Stand up, get involved, have a bit of a laugh with people and ask them questions as they pass by. One lady who offered Pension Auto Enrollment (no idea) asked us about our name and brand, and also commented on Todd’s cowboy hat. Well, we weren’t exactly hiding away looking shy so we were good people to target. She was brilliant fun and if we ever need this pension malarkey for staff in the future I’ll get in touch with her. If you have something cool on your stand, shout about it. We entered competitions including a game where you had to touch the lit up buttons the quickest. These are great to get the adrenaline going and get people involved. It doesn’t have to be complicated though – one chap had a tub full of sand and you had to pick a plastic animal out of it. Whichever one you picked had a number which corresponded with an offer – or you could win a big prize. This wouldn’t have been expensive but got people engaging with the company and chatting with members of staff. Obviously the company got our data onto their list and that’s fine with us. Don’t send your cheapest staff members to do your public facing work. Just as your intern shouldn’t be in charge of your social media, don’t let the Saturday girl man the stand because she’s attractive. People need information, and they need details when they’re considering whether a company might be able to help them. I asked the chap on the Xero (cloud accounting software) stand if he knew when his product would come out for Macs. This can’t be a very unusual request. He looked confused and had no idea. Do your research and know your stuff! Get your ducks in a row. I’m doing some follow-up stuff; I’ve added a few newbies who wanted to go on our Roundup list, and I sent a few LinkedIn messages. There were heaps of people I met who I couldn’t find on LinkedIn, or who had no profile photo so I didn’t know who they were. Also some of them hadn’t put their latest job or their new startup business on there. 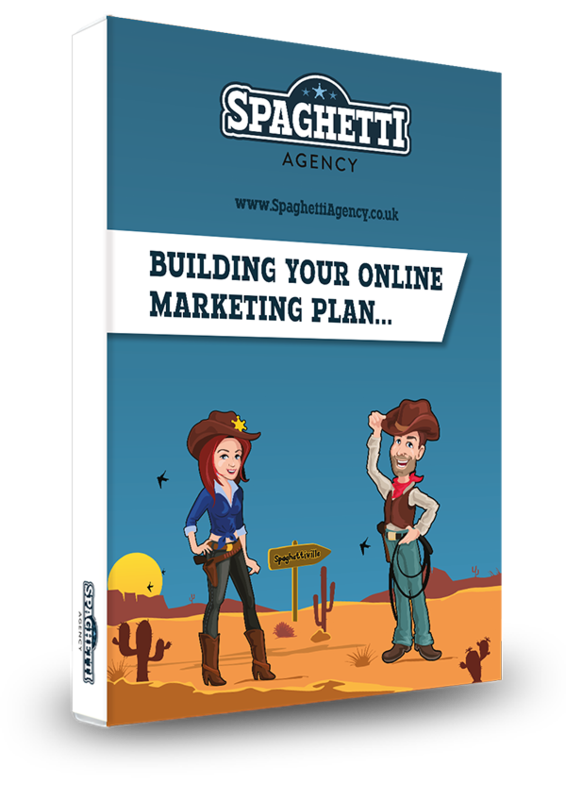 Get all your online stuff looking similar so people know it’s you. Don’t give out tat. I realise every small business owner is on a budget, but some of the leaflets I’ve seen at shows are truly terrible. There are SHOUTY CAPITAL LETTERS, and there are spelling mistakes (including a corker of a spelling mistake from someone who wanted to write Press Releases for us. No thanks, mate!). Invest in good design. Invest in persuasive sales copy – or read some books on how to do it yourself. And stop putting your Twitter handle on leaflets then telling me you don’t use Twitter. 6) Think – what’s in it for them?! Don’t promise random stuff you can’t deliver. If I had a quid for every time I’d been told I could get to the top of Google, I’d be taking the rest of the month off and lying on a sunny beach. People need to quickly understand what you do and why you do it. Most people aren’t technical so they don’t particularly care about what features your new software has. What does it do for them? How does it make their life easier? What pain does it take away? Keep your stand looking good. Bin any clutter and if you have staff with nothing to do, send them around to other stands or stand at the entrance with some leaflets and chat to people. Try to appeal to your visitors’ senses by offering them something to taste, smell, watch, or feel. Be very, very clear about what your business is about so passers-by don’t have to guess why you’re there. They won’t bother; they’ll keep walking past. Engage! Chat! Speak! A simple ‘how are you?’ is a great start. You could ask where they’ve come from, what they think of the show so far, whether they’re looking for anything in particular, if they’ve seen blah blah…’ Anything that gets them chatting without being too self-centred and pushy. As with all networking, even if the person in the room doesn’t need your products or services, they may know someone who does. Follow up afterwards. 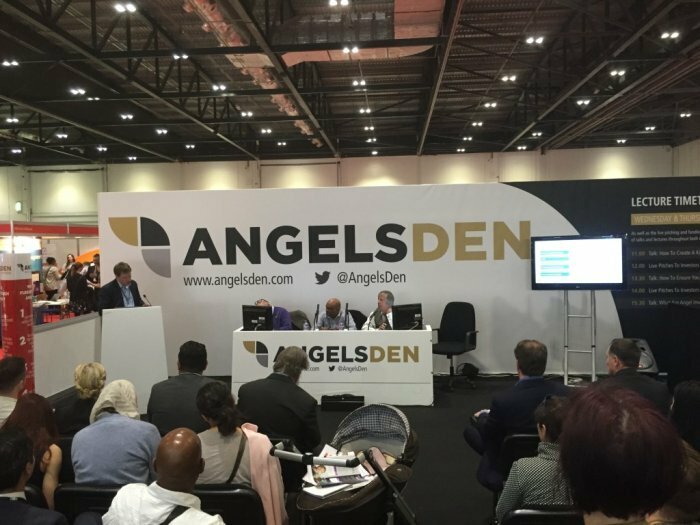 There’s no point in wasting all your time, effort and resources going to a business expo or event if you don’t bother doing something with the information you gather. If you’re old fashioned you might like to record interest on an enquiry sheet. If you’re part of a modern event you may be able to scan your visitors’ name badges. Work out whether you should add them to your list, or give them an email or a call. Maybe you should nip off straight away for a coffee if they seem really interested. Get your procedures in place so you know what to do. Learn from others. Ask your existing customers what they liked and what they didn’t. Ask the exhibition organiser for their thoughts. Keep a close eye on social media and the event hashtag, and work out what was being talked about. Network with the people on surrounding stands and listen to as much feedback as possible. 11) Work out – it is worth it? Finally, make sure it’s worth going next time. It can be hard to work the cost of your attendance at an exhibition or trade show versus its pay-back for you. Don’t go ‘because you always go’; go because it was worth the investment. Make sure you ask how people found out about you and what made them choose you. This should tell you whether these things are worth the effort. What do you think? 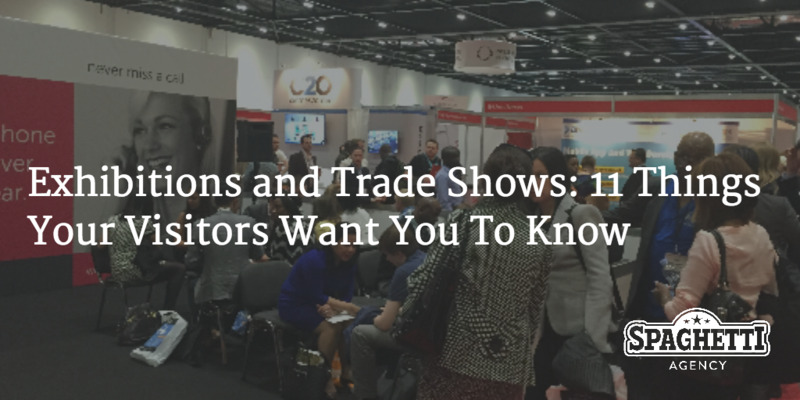 Do you have any other tips for people exhibiting at trade shows? What’s the best or worst event you’ve been to? Yes I did grab a couple of handy pocket torches. The only thing about freebies is that I’m not sure how valuable they are once people have left. Food, in particular, seems to be a bit of a waste of time as people throw away the wrappers and forget the company name. I picked up a lovely tote bag too, but again I can’t remember the name of the company nor would I use them unless I’d chatted to them and liked them. I guess I just see a lot of stands looking exactly the same; pull up banner offering random solutions, a goldfish bowl for business cards, and a bottle of champagne to give away as a prize draw. I’m sure it works, but I really enjoy seeing something different! Thanks for your comment, Lin. The beach sounds great – I love that idea. Sounds perfect for The Care Show too. Ah yes, and a massage is always a great giveaway! Especially for tired people walking around a show all day. Was what they were selling relevant or was it just a nice way to relax? 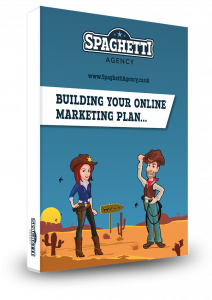 Another very helpful blog from the guys at Spaghetti! I write a lot about this stuff on our blog too, and to be honest, poor ‘exhibitionists’ are a particular bone of contention for me, probably because I have to visit so many. We love that video on your blog by the way and it’s totally relevant to this post! 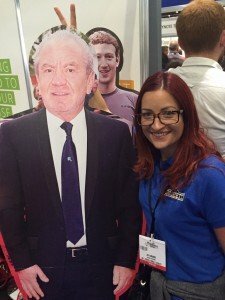 A very interesting article and as one of the people having a stand at the expo some good feedback. I also have a real bugbear about people sitting down messing with phones etc. A great article, and some all too familiar scenarios! It’s been a while since I’ve been to an event, and some of your points made me realise why I don’t go. I’ve been to an event where they try to draw you into a competition as soon as you walk past. Obviously everyone likes something free out of an event, but the only thing is that I went away feeling like I had filled out loads of competition forms, ticked boxes for them to send through email trash, but I new very little about the company and it’s brand. So in terms of hits, the stall could be visited by ‘x’ amount of people, but in theory there is no real measure of success for when they evaluate at he end of the day. I have been on the supplier side of the spectrum, and seen events planners trying to pull together print material / banners at the last minute, but no real marketing strategy in how they will engage. It always amazes me when businesses see events as low level, by just sending a bunch of representatives, and your right, often than not, they send the non-expert, an empoyee that they can afford to do without for the day. They miss how crucial customer facing events are, and social media has provided a much more wider reach extending from the event, especially with event Hashtags etc. Great article, loving all the tips. As a company who design and build exhibition stands, we know how important this is.